Oh Netflix. Bloody, bloody Netflix. For all of your bemusement, you sure can bring out the best in a body at times. That is why when my wife recommended a little film entitled Tonight You’re Mine because of our mutual adoration for music festivals and quirky comedies that was currently instant streaming on the site, I bit. And in a nutshell, the film was……good. Not grand. Not spectacular, just, good. Good as it was, I found myself only truly falling in love with the concept of the film itself. Some of the dialogue was choppy and seemed ill rehearsed. Antics ran wild, and only to a certain annoyance. But, eventually my bias opinion for these modern day PG-13 rated orgies took hold, and I enjoyed the film just enough. But as a man who once aspired to be a screenwriter, I once again found myself blustered by the idea that the story was so magnificent, that there had to be a genius mind behind writing the film. This of course is not to knock the filmmakers and all those behind the film, but my personal preferences have always led directly back to the writing. It is always the writing that amuses and entertains me most. So, I decided to find out just who was behind the keypad on this one. And lo and behold, I discovered an extremely interesting man, who has been far more renowned in other works besides penning words for films. The great Thomas Leveritt is a painter, author, and so much more. He has been through war and tyranny, and love and laughter. My research on this illustrious cat was found to be quite inspiring. And said inspiration ran so deep that I decided I need to get a few words from this mastermind, and see what else he has going on and maybe learn his thoughts on one my latest Netflix findings (you may or may not be surprised by what he has to say). And out of pure unadulterated luck, he was willing to speak with us. So here you have it folks, a few words with the modern day wise man Thomas Leveritt! You are a painter, a novelist, a journalist, a screenwriter, and more. Tell us, what don’t you do? And are you ever going to get to that? Music! Never been able to do music. I learnt to play a slew of Radiohead songs on guitar, but it was more out of brute memorization than a grasp of things like keys, scales, etc. Having a tin ear I couldn’t sing along, so I wasn’t even any use around a campfire. Having said that, I did write a screenplay about musicians, which later found life as the worst movie ever made. In general, the more I get into narrative film, the more I realize that it’s kind of a music-delivery system. Can you tell us about the Royal Society of Portrait Painters and what it means to be part of such a society? Oh, it’s just a trade body. Full of charming painters. They have an annual show at their HQ on the Mall, just down the road from Buckingham Palace, and if you’re interested in having a portrait painted they’ll connect you with the one of your choice & charge an agent’s fee. While much in Britain is secretive & caballic & requires ludicrous hats, this isn’t one of them. They came out of the great craze for oil painting at the end of the nineteenth century, around Whistler and Sargent (both Americans in England), when a lot of these societies sprang up: the New English Art Club, the Chelsea Arts Club, and so on. Don’t know how they got the ‘Royal’ part, though. The royal family periodically just turns things royal. Like, whole towns. Lynn became King’s Lynn; Tonbridge Wells, Royal Tonbridge Wells. The National Theatre was recently royalized. It’s one of the perils of English living. The Bosnian War is no secret to our regular readers here at TWS thanks to the our friends Mike Phillips and Bill Carter and The Spirit of Sarajevo. 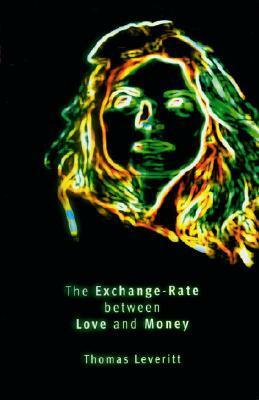 And your 2008 novel, The Exchance Rate Between Love and Money, used the war as a theme as well. If would, could you tell us how this came to be? What inspired you to use the war as a background? I left school in June 1994 and went straight out there to see what was going on. The media picture was badly muddled; there was a lot of false equivalency, a lot of ‘they’re all as bad as each other’. Once I got out there I realized, there had been pretty much no war with as clear-cut good guys and bad guys. It got under my skin. Have you returned to Bosnia since the book was released? Sure. The skiing is great. If you recall, the 1984 winter olympics were held there. If you go off-piste, the tape doesn’t just say ‘off-piste’, it says ‘Danger: Mines’, which adds a frisson. How did the idea for Tonight You’re Mine come about? Oh, christ. Well. Basically, the central requirement in reluctant-buddy movies is to force two people who don’t want to be together to be together. Devices include the Irascible Police Chief, the Eccentric Court Order, the Adorable Stepchild… I just thought, hell, why not handcuff ’em together? I liked the idea of a musician having to play a gig while handcuffed to some loomer, who’s just sort of standing around on stage trying to look inconspicuous, and the rest of the screenplay emerged from there. It was a fluffy little project that emerged out of an offhand joke with my girlfriend in the summer of 2009. 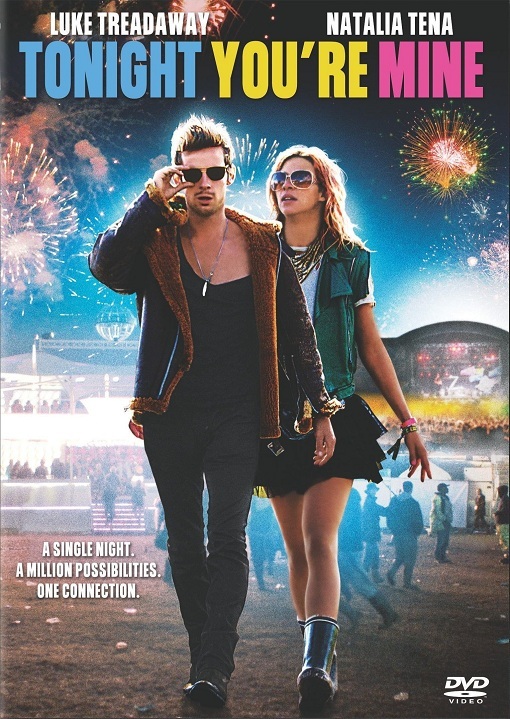 So I pounded out a screenplay – I set it at Glastonbury, and saw it as one of those ensemble Working Title productions that have been so good at enunciating an offbeat British happiness (Four Weddings, Billy Elliot, Love Actually, Wimbledon). No-one’s made a really definitive festival movie, and since it’s one of the major aspects of British life these days, I thought Working Title might go for it. But they were working on a Eurovision script at the time that was insufficiently different. But the production company who’d optioned my novel wanted to know if I’d ever written a screenplay before, before they let me adapt it, so I showed them this festival movie script, which they liked, off the back of which they got the money to make it from BBC Films. Reviews for the film were mixed. Paste Magazine said it was “pap of the dullest variety”, whatever that really means. Meanwhile The New York Times said it was “unusually fresh and lively”. So from the mindset of a screenwriter, what was your opinion of the final outcome? Oh, it was a trainwreck (is this why you’re interviewing me?). The Times was just being civil. There was a lack of control in pre-production; the director let the actors choose their own band-names (they chose ‘The Dirty Pinks’, which – just – o.m.g.? ), write their own songs, which the musical directors were rehearsing while the director hadn’t told them had already been cut from the script, etc, all of which indicated this amazing disregard for overall vision. When time came to shoot, there was no script supervision, so the actors more or less made up lines where they thought something should go; whole scenes simply weren’t filmed; there were no pickups to reshoot them afterwards, so a lot of the script made literally no sense. The male lead was hideously miscast. It was a mess. I wasn’t even that wedded to the script, the director had me do five rewrites in a week, which I did for free, just for the pleasure of helping get the thing made, but in the end it was so clear that it was going to be this pointless bonfire of someone else’s money that I left them to it, about a week before principal photography. I tried to be nice about it; I thanked them very much for making my script and wished them luck, and didn’t go around badmouthing them, even to BBC Films, but it didn’t make any difference. When films go bad, I guess the recrimination & bad blood is more or less inevitable. So, I still think there’s an unfilled slot for a festival movie. I periodically try to persuade execs to make one. If we were to steal your iPod for a day, what sort of stuff would we hear? 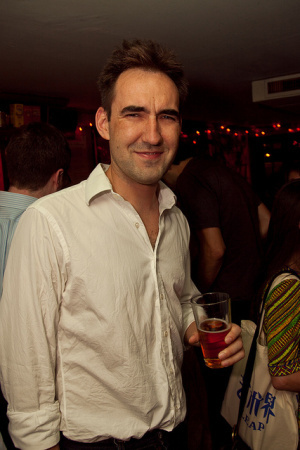 What can we expect to read/see/hear from Thomas Leveritt in the near future? After that filming experience, I decided to start directing myself. So I’ve been making a lot of short films, both narrative and documentary. Right at the moment I’m producing Vice-style mini-docs for a new internet title that’s launching in September (at Supercompressor.com). One of them is on UV cinematography, which, if it works, will be pretty amazing. People look radically different in the UV spectrum: grizzled, war-torn. It’s like seeing their soul. As I was being thrown out of a bar last night, the bouncer gave me $5 compensation for my unfinished beer.